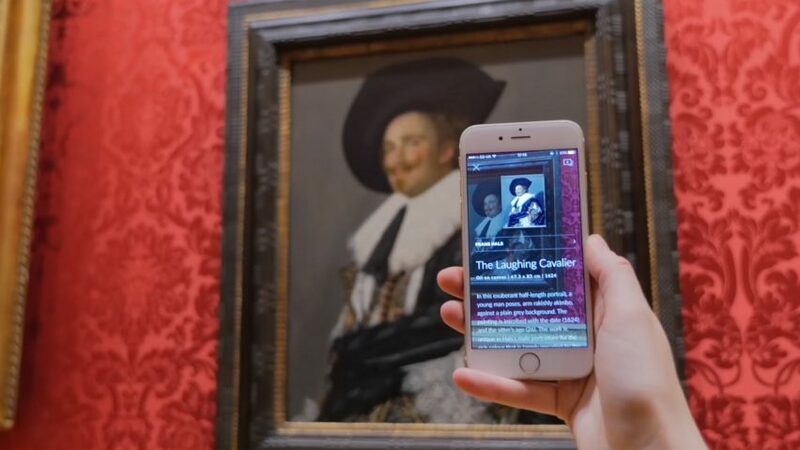 New app Smartify hailed as "Shazam for the art world"
New app Smartify functions as "a Shazam for the art world"
Smartify launched at the Royal Academy of Arts in London last week. It has been described by its creators as "a Shazam for the art world", because – like the app that can identify any music track – it can reveal the title and artist of thousands of artworks. Smartify is already in use in over 30 of the world's major galleries and museums, including the National Gallery in London, the Rijksmuseum in Amsterdam, The Met in New York and LACMA in Los Angeles. The company refuses to reveal exactly how it works, but said that it creates "visual fingerprints" to differentiate between each artwork. "We scan artworks using photos or digital images and then create digital fingerprints of the artwork, meaning that it is reduced to a set of digital dots and lines," explained co-founder Anna Lowe. "When a user tries the app against an artwork, the app analyses the target artwork and matches it against existing images we have scanned." The app provides users with detailed information about the piece they're looking at, as well as recorded interviews with the artist. The aim is to offer a more human story, rather than the dry descriptions typical of audio guides and catalogues. Lowe described it as "like an enthusiastic and knowledgeable friend telling you more about a work of art". "Our team has always loved visiting museums and galleries, and seeing art. We found that we developed a much deeper understanding and connection with an artwork when we learned stories about it and its context," she told Dezeen. The app currently doesn't recognise artworks that are not stored on its database, but the company hopes to change this in the future. Smartify has also collaborated with nonprofit organisation, the Wikimedia Foundation, to utilise Wikipedia's image gallery, helping it to increase the efficacy of its image recognition technology. Users can save their favourite artworks and share them with Smartify's online community. The app uses these favourites to recommend other pieces it thinks the user might like. The company hope that project will reframe the use of smartphones in galleries, as objects for engagement rather than disruption. "[We want] to provide information in the most elegant, accessible and unobtrusive way possible," Lowe said. "As a social enterprise, we hope the app will encourage more people to think visual art, and visiting museums and galleries is 'for them', and also support public museums and artists in engaging differently with existing audiences and reaching new ones," she added. Other apps that help users identify things in their environment include one launched by the Architecture Foundation in London that maps the location of over 1,100 historic and contemporary buildings.